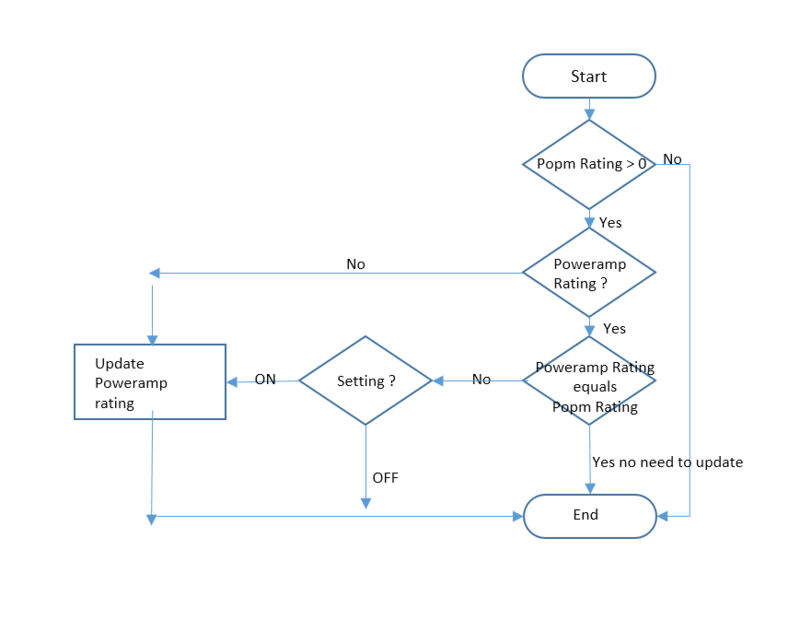 Below the logic which is applied when determining whether to update the Poweramp Ratings from the ID3V2 POPM tag. First, the question is asked whether there is actually a POPM rating. If not then nothing happens. If there is a POPM rating, the Poweramp rating is checked. If the Poweramp rating is the same as the POPM rating, then no need to do anything. If there is a difference between the two ratings, then the switch setting is checked in Settings. The default is to overwrite the Poweramp rating. If set to OFF, the process goes to the next track.